I have been waiting for this movie to come out for a while, and it is finally here! 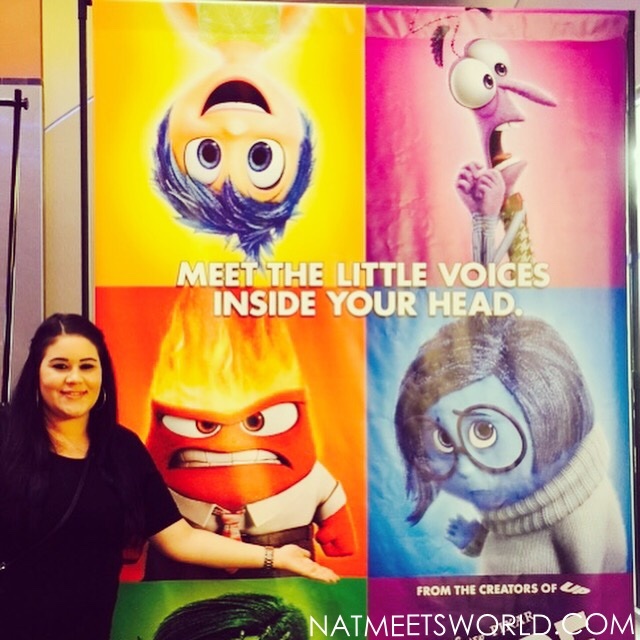 Inside Out is the Ultimate Family Movie this summer and you have got to check it out! Inside out follows the story of a little girl named Riley and her emotions as she moves to a brand new city and adjusts to a new school and life. The story is told through her emotions: Sadness, Joy, Fear, Disgust, and Anger. Each of these little guys play a role in Riley’s life the same way they play a role in our real lives. This movie will have all of your emotions going too, especially with its witty humor! I laughed dozens of times and really loved how they incorporated some humor to keep the adults entertained as well. I love how children will be able to relate to Riley’s situation and I especially love how they organized the emotions and how they work with our memories. It makes you wonder if that is really what goes on in our heads! LOL We know our bodies are so complex, but Pixar nailed the way they portray how our minds work in a kid friendly way. There are several happy parts in the film, but there are also a few sad parts that had me tear up a bit! Joy, played by Amy Poehler, is the main emotion and really makes you fell happy most of the film. This is a great family movie for children and adults of all ages with a superb storyline that will make the entire family laugh and smile! All of the emotions are equally funny but my favorite has to be sadness. There were so many times I felt so bad for her! I just had to snap a pic with her on the way out! 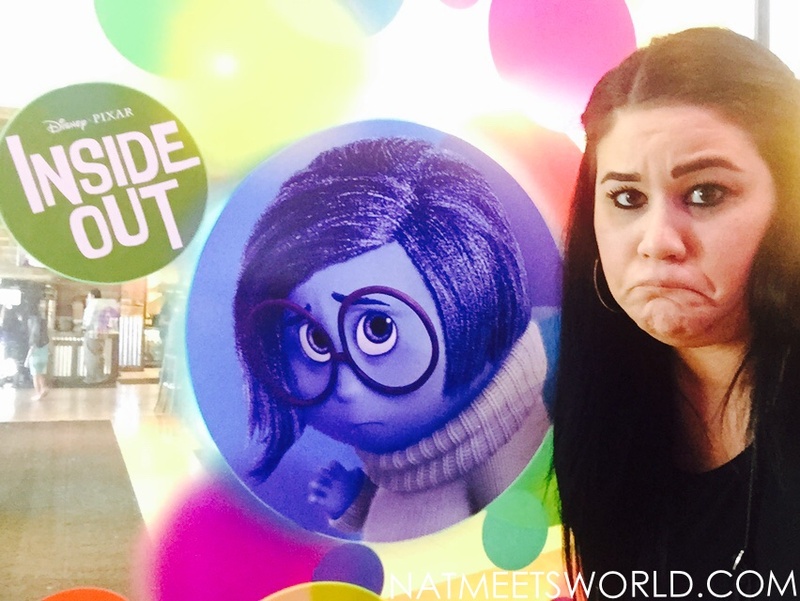 If you are looking into a family movie this summer, Inside Out is the one to see! You won’t be disappointed! I give this film five stars for its unique storyline, beautiful graphics, amazing acting, and humor! Did you see Inside Out? What did you think? Comment below! « The Color Run- The Happiest 5K! I saw this last night! AMAZING! Yes, I agree Jenn! It was great!